My third defensive dress mimics the skink's ability to sacrifice its tail when attacked. My soft-sided-velcro dress is covered with over a hundred detachable velcro-ended fabric slivers that stick to the dress and allow the wearer to successfully slip free of unwelcome grasps. The dress's limb-loss defense, like the skink's tail-loss defense, requires physical engagement from another party before the appendage(s) can be detached. 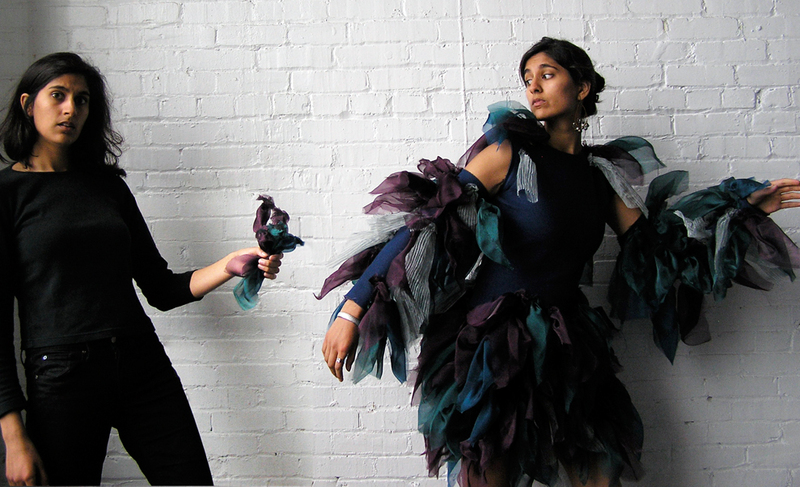 Created for World Maker Faire at the NY Hall of Science, the garment's hidden talent is camouflaged in the guise of a cocktail dress.